Hard cheeses deserve a place of honour on our tables and in the kitchen. Percect as table cheese or in recipes - especially grated - they are long aged, crumbly and dry. Hard cheeses have a relatively low water content, typically from 30% to 40% and usually undergo a slow curing process. If for fresh cheese the maturing period is not longer than than one month, semi-aged cheeses have a seasoning period betwen one and six months, while for aged cheeses the aging period exceeds 6 months. Aged cheeses are usually quite fat. Their taste varies from sweet to strong and the consistency ranges from firm to hard. Hard cheeses are obtained by breaking the curd into fragments very small, which are cooked to 50-60 ° and stirred continuously; the mixture is then compressed, salty and subjected to a seasoning which It can last months or years. Long aged cheeses are left to mature until the paste becomes flaky. These cheeses (well sealed) can be kept in the fridge for months. Here is a short list of aged cheeses available on Sensibus: Parmigiano, Grana Padano, Pecorino, Provolone cheese. Parmigiano Reggiano is one of the oldest and richest cheeses in the world. Nowadays Parmesan is still produced as in the past, using the same genuine ingredients, cheese-making technique, and craftsmanship. Read more on Parmigiano cheese. Grana Padano is a delicious Italian cheese produced in the Po Valley, a symbol of the gastronomic tradition of the Mediterranean country all over the world. Made from semi-skimmed cow's milk, Grana Padano is a semi-fat hard cheese, finely grained, with a white or straw color paste enclosed by a hard and thick dark yellow rind. More details on Grana Padano. Pecorino Siciliano is the oldest cheese in Sicily and, most likely, Europe. This sheep cheese is produced on the whole island and has been recognized with protected designation of origin (DOP). More information on Pecorino Siciliano. Pecorino di Filiano is a hard cheese, made from whole sheep's milk in the province of Potenza, in the North-West of Basilicata. From the twentieth day of maturity, the forms of this sheep cheese can be rubbed with olive oil and vinegar. 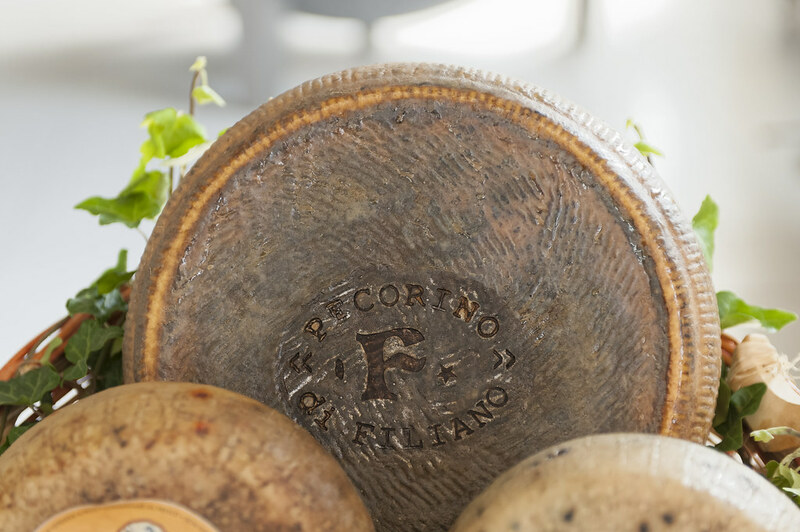 More information on Pecorino di Filiano. Image: Pecorino di Filiano DOP. Cheddar is a cheese hailing from the county of Somerset, in the UK, where it has been produced for six centuries. Today, the Cheddar cheese from the counties of Dorset, Somerset, Devon and Cornwall is protected by the West Country Farmhouse Cheddar DOP mark. Read more details on Cheddar. Provolone is a semi-hard cheese typical of southern Italy, however, its history its curious. In the first half of the nineteenth century some cheesemakers from Naples moved to Northern Italy bringing with them the ancient craftsmanship and the production tecniques to make Provolone. Get more information about Provolone cheese.